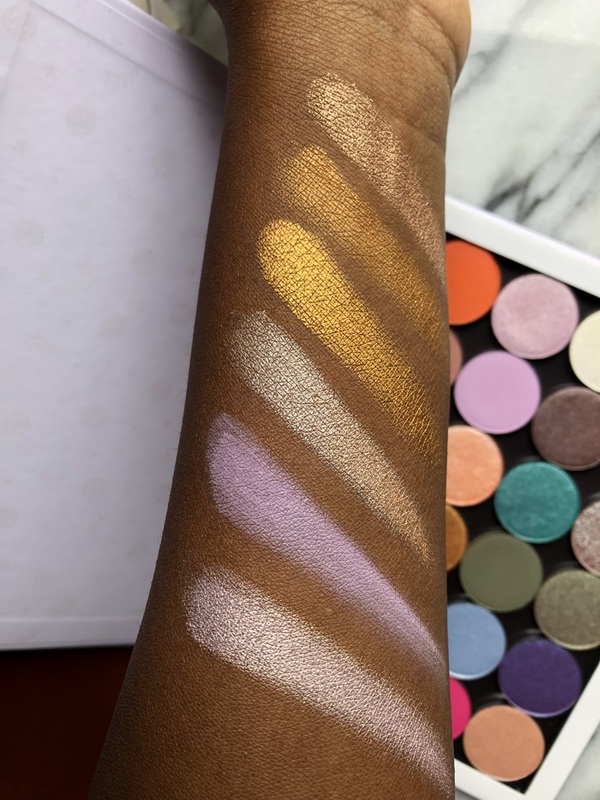 The other day Colourpop had a promo where you could create your palette, using their pressed eyeshadows and pressed face products, blush, highlight and contour. I didn't pick up any of the face products but I did go in on the eyeshadows. 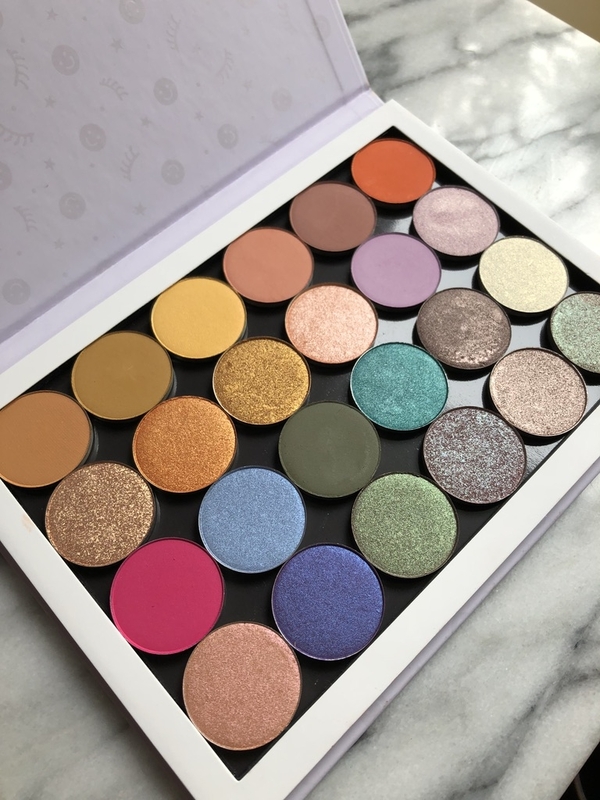 I made a palette with 24 shades, I thought that it was the best value, if I remember correctly 24 shades was $44 and 12 shades was $30, a $14 difference for 12 shades seemed the better bargin to me. You were also able to pair it with a 20% off coupon. 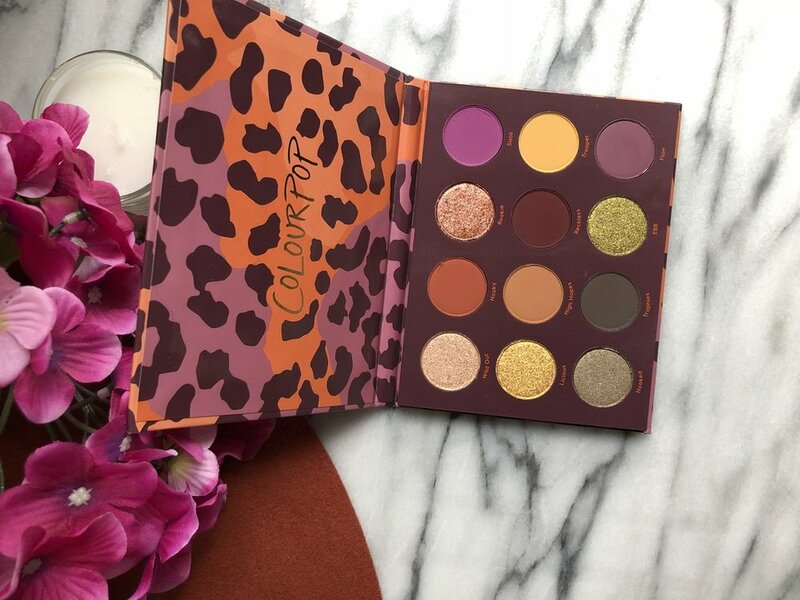 I threw in their new fall eyeshadow palette Good Sport to qualify for free shipping and I was set. 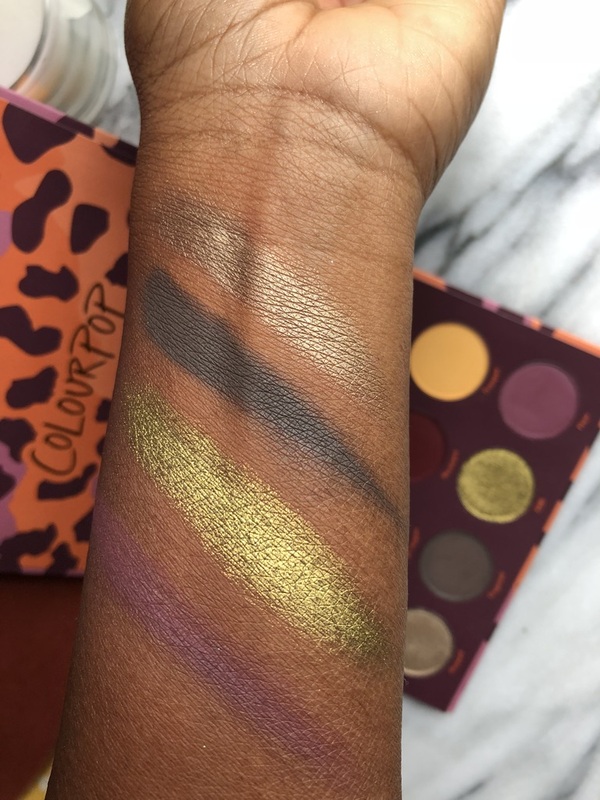 The one thing that I really don't like about Colourpop is that they cycle through eyeshadows pretty quickly. So even if you're looking for swatches, those colours may not be available anymore, which is irritating. I know that their modus operatus is to push out as much product as possible, so they have a much higher product renewal cycle. 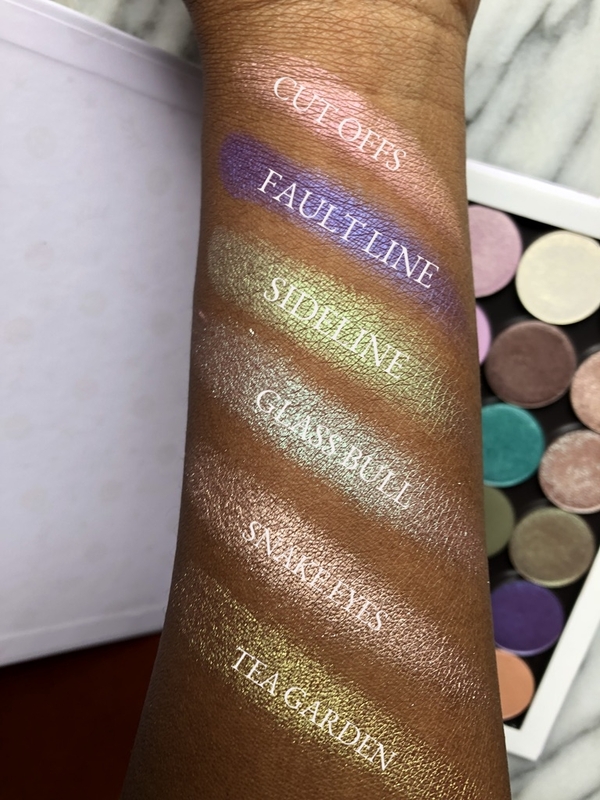 There were a few shadows that I've had my eye on for months like Now and Zen and Tea Garden, that I finally picked up. I was also focused on picking up any shadows that were duo chrome because those are shades that I can use more of in my collection. I picked up an assortment of colours, some warm mustard's, a few greens and blues, even some purples. I think most colour family's were touched on. 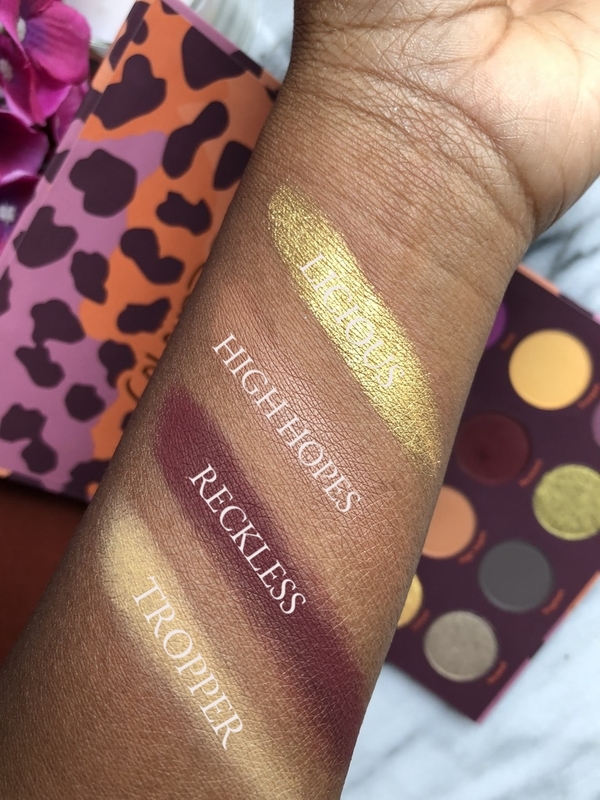 I have no problems with the formula of the pressed shadows from Colourpop, there not my favourite, the matte shadows are a bit powdery but there are no problems with pigmentation or longevity and wear time. 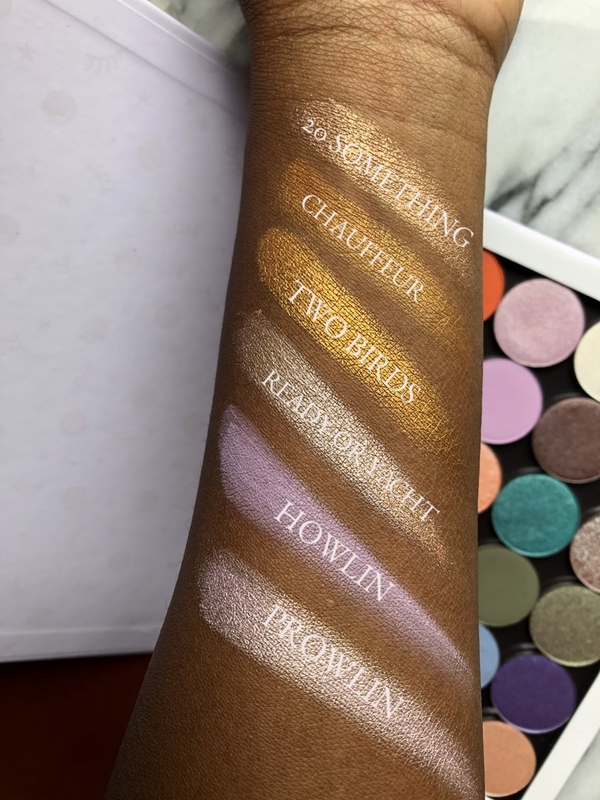 I've done some swatches, not sure how long they will be relevant, but you'll see you how they look on my deeper skin tone. 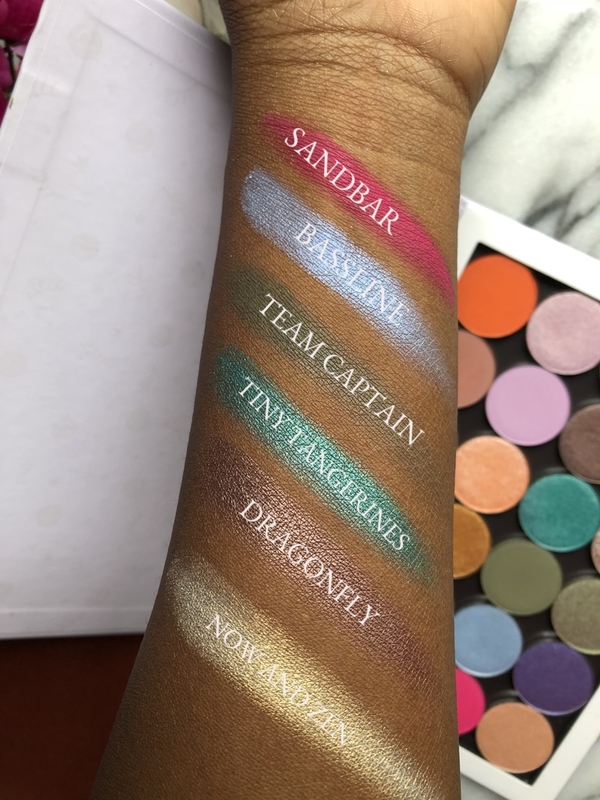 Some of these shades are beautiful, they’re so bright and vibrant when swatched, like Two Birds and Ebb in the Good Sport palette, it looked metallic. Whereas some like 20 Something initially are a bit chunky but can be smoothed out to a nice creamy colour. There are a few of the matte shades that are bit dry in texture like Reckless but again are perfectly fine when applied to the skin. I will say that I find their duo chromes a little lacking in the duo aspect, there just isn’t much shift, at least not on my skin tone. I haven’t used them on my eyes yet, so my opinion is based on limited data. 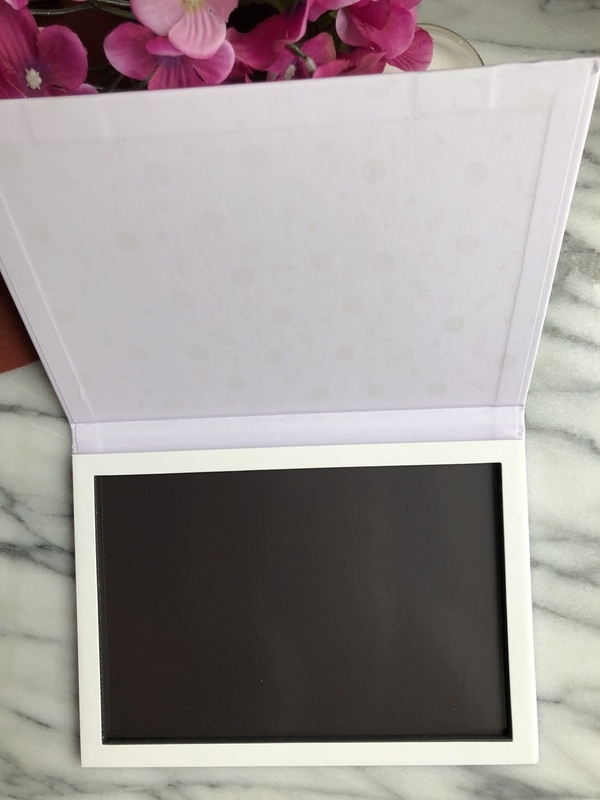 Oh one last thing, the empty palette that came with the shadows when I ordered the deal, is okay but I prefer other empty magnetic palettes over it. Just because I find that the shadows had to be squeezed into the palette, so now if I want to remove one to check the shade name, I’m scared to because it’s so difficult to fit it back in without destroying it or the other shades near it. 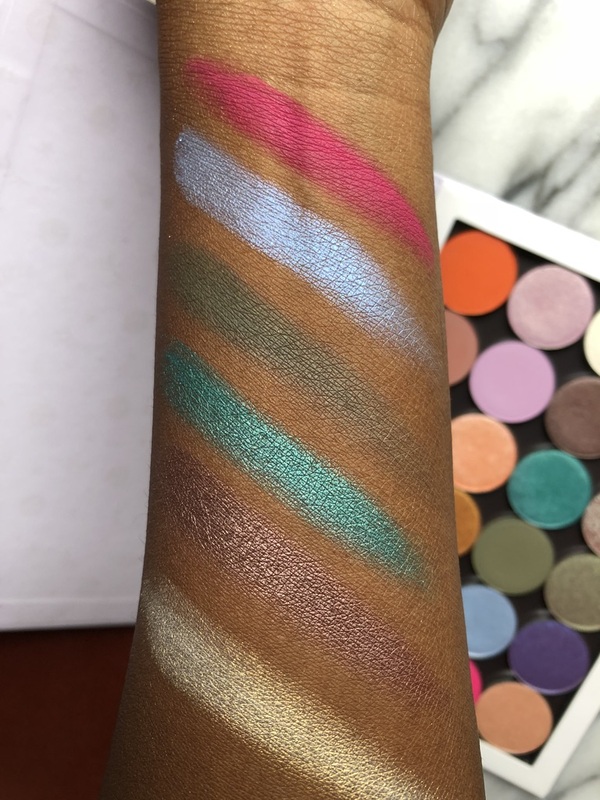 Are you a fan of the pressed eyeshadows from Colourpop? Did you get the chance to grab anything from this latest sale?